Photos of Jaimie Monahan courtesy of Arik Thormahlen around Manhattan Island, New York. At each of the 64 km Traversée Internationale du lac St-Jean double crossings between Roberval-Péribonka-Roberval in Quebec, Canada in 1985, 1986 and 1987, there were great races between two very well-decorated marathon swimmers: Hall of Famers Claudio Plit of Argentina and Philip Rush of New Zealand. In 1985, the duo faced off for 64 km in lac St-Jean and Plit pulled away at the end, winning in 18 hours 14 minutes over Rush who finished in 18 hours 19 minutes. In 1986, Rush closed the gap, but Plit won again in 17 hours 45 minutes 24 seconds over Rush's 17 hour 46 minute 29 second effort. In the third of their face-offs in 1987, Plit won for the third time in 17 hours 46 minutes over Rush's 17 hour 51 minute swim. "It was incredible that these two great swimmers swam so close to each other over three years - a cumulative total of 53 hours 45 minutes of racing - in conditions that could vary from tranquil to turbulent," observed Steven Munatones. 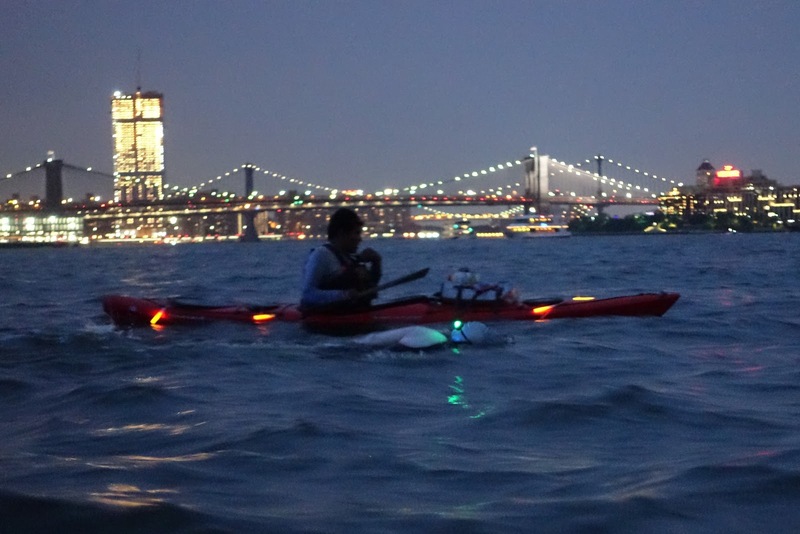 "Very similarly, when looking at the double circumnavigations of the 40 Bridges race, twice around Manhattan Island, the times of the swimmers are relatively very close to one another [see below]. When swimmers are swimming so far and so long, it is remarkable how close their overall times are." 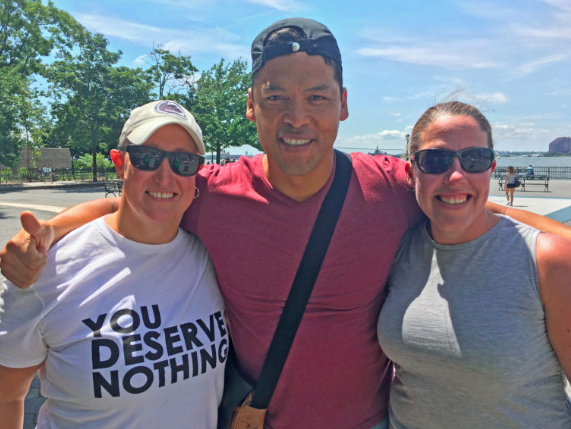 There is a logical explanation for the results in the two-loop 57-mile (91.6 km) non-stop circumnavigation swim around Manhattan Island, organized by Alex Arévalo, David Barra and Rondi Davies of New York Open Water. Barra explains, "The short answer is because of the tidal currents. For a standard single loop around Manhattan, there is little benefit for a swimmer to arrive at Hellgate before slack. Likewise rounding the Battery on a double. A world-class swimmer on a fast ride, with a good model, can swim Manhattan in under 6 hours, but that can never be repeated in a double due to the tide cycle." Davies adds, "Like David says, the tides play a big role in a double Manhattan. With a Battery start, the first loop takes about 8 hours. Swimmers start about two hours before the current switches to ebb at Mill Rock at East 96th street, allowing them to have a current assist for the first lap. After one loop, swimmers round the Battery just as the East River starts its flood. They reach Mill Rock three hours before the current switches in the Harlem River and must swim against the current. This equalizes the swim in that any swimmer that is ahead is caught, as swimmers make little headway against the Harlem River. 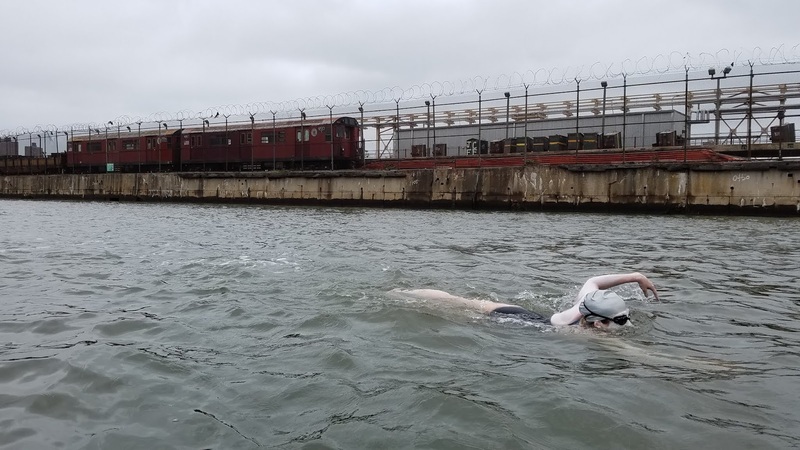 Once the current changes to ebb, swimmers are pushed through the Harlem and down the Hudson to the Battery. 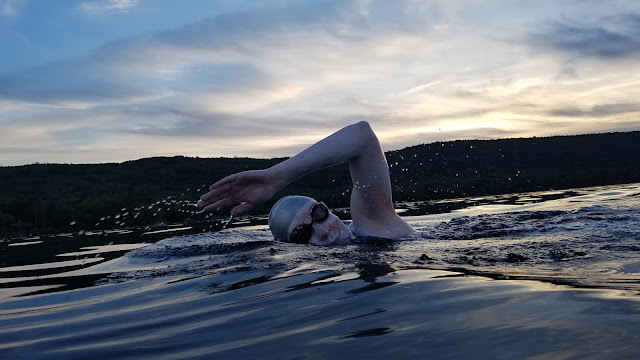 The currents are building throughout this time so any swimmer at the back of the pack benefits from faster currents, again compressing the field and keeping the times close. The second lap takes about 11-12 hours no matter how fast the swimmer is since they are working within the tide cycle. This is an interesting swim in terms of modeling. It does not favor a faster swimmer. We usually have to slow swimmers down so they don't get to Mill Rock too early on the second loop and have hours against the Harlem current. But, we are looking at ways to make it faster."